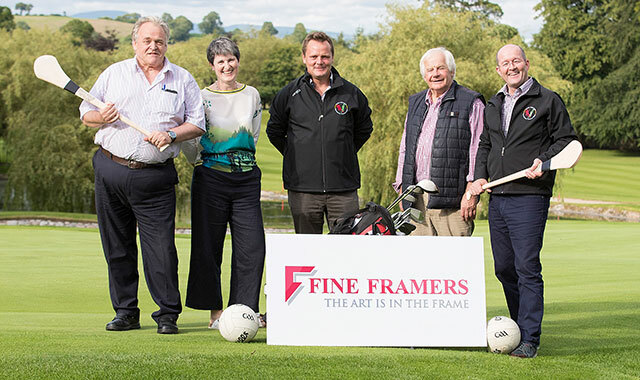 Fine Framers is proud to be the main sponsor of the upcoming ‘Club Carlow’ Golf Classic, which raises money to support GAA activity at all levels in the county. The golf classic will take place at the wonderful parkland course at Mount Wolseley in Tullow on Friday August 4, and entries are now being taken. Just contact Derek Conry at (087) 9348809 or John O’Gorman at (087) 7621550 to register your team and get a tee time. Entry costs €200 per team of four, and the entry fee includes refreshments for all players once their round of golf is finished. 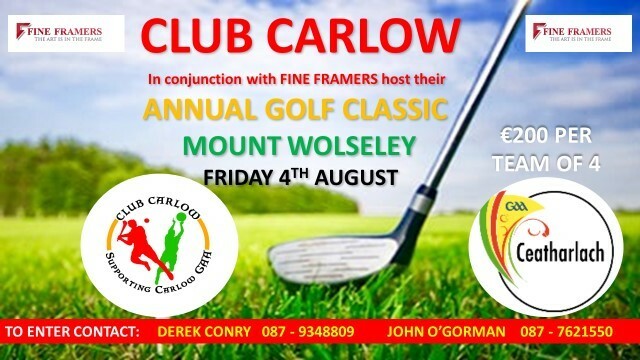 The Golf Classic comes after we in Carlow have enjoyed a wonderful run in gaelic football this summer, with three championship matches won in the same season for the first time since the historic occasion of winning the Leinster football title in 1944. Wexford, London, and Leitrim were all beaten, while the Carlow side also put up brave performances in defeats against Dublin and Monaghan. The whole GAA community in Carlow is proud of this year’s achievements, and by supporting fundraising events like the Golf Classic, we can help lay the groundwork for great achievements in the future too. We at Fine Framers are proud to be part of it – and we hope you’ll be part of it too.